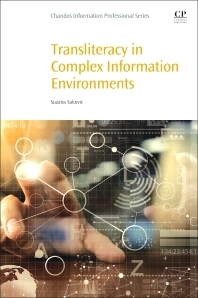 Suzana Sukovic is a librarian, researcher and educator with extensive professional experience in the information industry, mainly in the academic sector. She has also worked in academic teaching and research roles. She has completed a number of innovative projects, including applications of technology in research, teaching and learning. Suzana has published papers on issues related to technology in scholarly research, and on innovation and creativity in libraries. Her doctoral thesis explored roles of electronic texts in research projects in the human ities. Transliteracy, learning and knowledge creation, and library innovation are her main professional and research interests. She is currently Executive Director Educational Research & Evidence Based Practice, HETI (Health Education & Training Institute). She actively promotes research in the library and information profession through ALIA. She is Co-Chair of the ALIA Research Advisory Committee, and the founder and leader of ALIA LARK (Library Applied Research Kollektive).